By using the garden as a context for learning mathematics, the children had the opportunity to connect the meaning of written numerals to the quantities of herbs planted and grown in the garden. Moreover, the students engaged in counting and fraction activities associated with the herb biscuit recipe, and they could relate this quantity to its numeric representation. (Winters et al., 2010, p. 248I). Not only did the math skills of students improve, but the learning of English concepts increased. 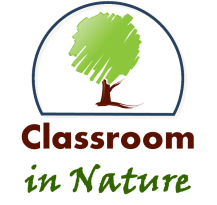 In that same study, observations that occurred within the outdoor classroom were recorded in student journals and learning logs. Students later read these entries out loud to the entire class. Similarities and differences were discussed within a group setting, some of which included the color, smell, and texture of certain varieties of plants found in the outdoor learning environment. This helped provide development for writing, reading and oral communication skills within the classroom (Winters et al., 2010, p. 248J).